The Munster Reds kicked off their 2016 season with a comprehensive nine wicket victory over the Marylebone Cricket Club at a postcard-esque Mardyke under clear blue skies. 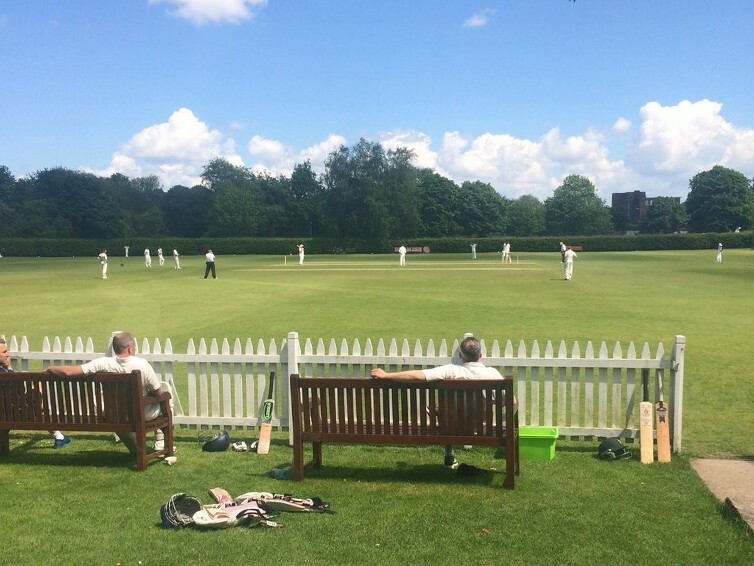 The representative side have some challenging tests this summer coming up against the Leinster Lightning and the Northern Lights over the next few months, but with be buoyed by an excellent performance against the prestigious touring side which saw some fine individual performances with both bat and ball. The hosts got off to the best possible start, as Richard Browne was caught first ball by Connor Mullen off the bowling of Co Limerick’s Mudassar Aziz to take the long walk back for a golden duck. An amazing first over saw Aziz bowl Connor D’Arcy with his very next ball to leave the visitors 0-2 off their first two deliveries as the fast bowler steamed in on his hat-trick ball, but Gorrainge held firm with a strong forward defence before dispatching a four with a lovely cover-drive. The wicket-keeper didn’t last long however, Aziz’s latest victim this time caught by Cormac Hassett as the Limerick bowler began to show why he has been talked about so much on the banks of the Shannon. Two overs later he had his fourth, trapping Rigby in front to leave the tourists 27-4. County youngster Aaron Cawley was ably assisting at the other end, keeping it tight and continuing the pressure, and he got his deserved wicket in the wicket as Sukpal Singh caught Shears first ball to give MCC their third golden duck of the afternoon and leave them flailing at 28-5. Things were going from good to better for the hosts, and when Cotterill and Lucas both fell to the bowling of Singh – caught by Co Galway’s Connor Mullen and Reds captain Stephan Grobler respectively – the representative side were 37-7 after just 13 overs. However in came Forsyth, and he dug in along with opener Jackson, and the pair put together a necessary 49-run partnership, with Forsyth making 30 off 38 before being caught and bowled by Cork Harlequins’ Ruadhán Jones. Jackson was powering on however, and with new partner McDonald the visitors passed 100 before McDondald skied one off Cawley’s second spell, leaving an easy catch for wicket-keeper Ian Coleman. Last man Synnott survived the end of the over as Jackson got to 45, but before he could get his own half-century Cawley got his third wicket, trapping tail-ender Synnott and leaving the MCC on a subpar 116 all out. It was an excellent bowling performance from the home side, with debutant Mudassar Aziz finishing with figures of 4-23 off his nine overs, while Aaron Cawley finished 3-16 off 8.3 including two maiden overs, Singh and Jones got a few wickets each, while Amaan Menraj was the most economical, going for only 12 runs off his four overs. In response openers Grobler and Mullen got the Reds off to a hot start, and as they passed twenty for no loss it seemed a comfortable victory was assured. They wobbled slightly when captain Grobler mistimed a cut shot and was bowled by Forsyth, but once Hassett entered the pair made light work of their task. Mullen passed 50 with relative ease, and just after the twenty over mark they had the game sewn up. Mullen finished on 57* and Hassett 46* with their partnership eventually totalling 95 before the winning runs came, and in total the Reds’ innings went at a brisk 5.71 runs per over as the hosts’ put paid to their guests. A fine game played in excellent spirit showed just some of the talent down in Munster, giving Andy Wooton and his management team of Declan Earley and Stephan Grobler plenty of positive notes ahead of the Leinster Lightning game, also at the Mardyke, on the 17th July. 12th men: Diarmuid Carey (Cork Harlequins), Kieran O’Reilly (Midelton). MCC: RWK Browne, NA Chelwin, CD D’Arcy, EDM Delaney, JM Forsyth, GC Gorrange, DR Lucas, KA McDonald, DAJ Rigby, PE O’Donnell, AM Synnott, JF Cotterill, GN Jeppsen.